Background Warfarin is a highly efficacious oral anticoagulant, but its use is limited by a well-founded fear of bleeding. Drug and food interactions are frequently cited as causes of adverse events with warfarin. We provide an updated systematic overview of the quality, clinical effect, and importance of these reported interactions. Data Sources MEDLINE, TOXLINE, IPA, and EMBASE databases from October 1993 to March 2004. Database searches combined the keyword warfarin with drug interactions, herbal medicines, Chinese herbal drugs, and food-drug interactions. Study Selection Eligible articles contained original reports of warfarin drug or food interactions in human subjects. Non-English articles were included if sufficient information could be abstracted. Data Extraction Reports were rated independently by 2 investigators for interaction direction, clinical severity, and quality of evidence. Quality of evidence was based on previously validated causation criteria and study design. Data Synthesis Of 642 citations retrieved, 181 eligible articles contained original reports on 120 drugs or foods. Inter-rater agreement was excellent, with weighted κ values of 0.84 to 1.00. Of all reports, 72% described a potentiation of warfarin’s effect and 84% were of poor quality, 86% of which were single case reports. The 31 incidents of clinically significant bleeding were all single case reports. Newly reported interactions included celecoxib, rofecoxib, and herbal substances, such as green tea and danshen. Conclusions The number of drugs reported to interact with warfarin continues to expand. While most reports are of poor quality and present potentially misleading conclusions, the consistency of reports of interactions with azole antibiotics, macrolides, quinolones, nonsteroidal anti-inflammatory drugs, including selective cyclooxygenase-2 inhibitors, selective serotonin reuptake inhibitors, omeprazole, lipid-lowering agents, amiodarone, and fluorouracil, suggests that coadministration with warfarin should be avoided or closely monitored. More systematic study of warfarin drug interactions in patients is urgently needed. Despite the frequency and importance of warfarin’s drug and food interactions, the first systematic overview on the topic did not appear until 1994.6 For that review, we developed an interaction assessment tool that combined a “levels of evidence” approach with causation criteria, subject outcome, and proposed mechanisms. Although many drugs, including antibiotics, drugs affecting the central nervous system, and cardiac medications, had been reported to interact with warfarin, the quality of reports was so poor that few clinical recommendations could be made other than careful monitoring around initiating and discontinuing treatment with other medications. In the decade since that review, awareness and investigation of drug interactions and quality of evidence have grown, leading to the hypothesis that the number and quality of drug and food interactions would increase as well. We therefore performed a systematic overview of the literature, updating the evidence on warfarin drug and food interactions. Relevant literature was identified by searching MEDLINE, TOXLINE, IPA, EMBASE databases, Health Canada and Food and Drug Administration Web sites and personal files from October 1993 to the end of March 2004. The MeSH headings and keywords used for the search were warfarin and drug interactions. Non-English articles were included if they included an English abstract with sufficient information. To retrieve warfarin-herbal drug interactions and warfarin-food interactions, 2 additional searches were conducted using the MeSH headings and keywords warfarin and herbal medicines or Chinese herbal drugs, and MeSH headings food-drug interactions and warfarin, limited to English only. The bibliographies of the retrieved articles were checked for any additional pertinent studies. Articles were considered eligible for evaluation if they contained original data involving drug or food interactions with warfarin in human subjects. Interacting drugs had to be available in the United States or Canada. Eligible studies were evaluated independently by 2 authors according to the following 4 main categories. Subjects were classified as patients or healthy volunteers. Patients were then further stratified into 2 categories: volunteers and nonvolunteers. The former group were defined as patients requiring warfarin therapy who were prospectively entered into a study, whereas the latter group was exposed to the interacting drug during the course of usual warfarin therapy. Healthy volunteers were healthy individuals not requiring warfarin therapy. The drug affected and the type of interaction (potentiation, inhibition, or no effect) were noted. Interactions that potentiated or inhibited the effect of warfarin were further rated as major, moderate, minor, or nonclinical. Major potentiation was defined by death, major bleeding, or necessity to stop warfarin therapy entirely. Major bleeding episodes included those that were life-threatening as well as those that led to the loss of at least 2 units of blood in 7 days or less.7 Moderate potentiation meant that (1) there was an INR change requiring an adjustment in warfarin dosage or (2) the INR increased to greater than 5.0 or (3) there was an increase in INR by greater than 1.5. Minor potentiation interactions were defined as an INR increase in which (1) no change in warfarin dosage was required and (2) the ratio remained less than 5 and (3) the increase was less than 1.5. Potentiation interactions were classified as nonclinical if the only evidence of warfarin augmentation was a statistically significant increase in warfarin levels without change in INR or clinical status. Major inhibition interactions were defined by the occurrence of thrombosis. Moderate inhibition (clinically relevant but less than major) indicated (1) a change in INR requiring an adjustment in warfarin dosage or (2) an INR decrease to less than 1.5 or (3) a decrease in INR by greater than 1.5 units. Minor inhibition interactions were defined by (1) an INR decrease requiring no change in warfarin dosage and (2) an INR decrease to a ratio that remained more than 1.5 and (3) a decrease in INR by less than 1.5. Inhibition interactions were classified as nonclinical if the only evidence of warfarin inhibition was a statistically significant decrease in warfarin levels. An interaction was defined as having no effect if the interacting drug neither potentiated nor inhibited warfarin’s effect in any way described herein. Reports were classified into 1 of 4 categories based on the quality of study design. As shown in Table 1, randomized controlled trials (RCTs) were subdivided into fair to excellent quality, with those involving more than 100 subjects arbitrarily given the highest rating. Poor quality reports included nonrandomized study designs, observational studies, pharmacokinetic studies, and case reports. For each report, the probability of the proposed interaction was rated from level I (highly probable) to level IV (highly improbable). Definitive evidence of an interaction required a level I causation rating from both healthy volunteer and patient-based reports in which both described identical interaction direction and severity. Level designation was based on how the article fulfilled 7 standard causation criteria. Is the timing correct for an interaction to be pharmacologically plausible? In patient-based studies, warfarin must have been taken at a stabilized dose common to usual practice and prior to initiation of the interacting drug or food. For volunteer-based studies, subjects had to have received warfarin, both alone as well as with the interacting drug. In addition, we required that the potentially interacting drug had to be consumed (1) long enough to attain a significant plasma level and (2) in doses common to usual practice. Do laboratory tests (eg, international normalized ratio/prothrombin time/thrombotest) support the contention of an interaction? In patient-based articles, the post-coadministration coagulation variable had to be out of therapeutic range, whereas for volunteer studies, a 20% change in coagulation parameters for volunteer studies was required. For articles concluding “no interaction,” the absence of a statistically significant change in coagulation variables was required. Are other potential factors affecting warfarin pharmacokinetics/pharmacodynamics ruled out satisfactorily? Factors such as diet, other medications, as well as certain medical conditions (hepatic dysfunction and hyperthyroidism) had to have been declared to be ruled out as possible causes of the outcome. Has the patient had a similar result with previous exposure to the same drug? The patient had to have been taking the interacting drug in addition to warfarin at a time prior to that reported with a similar outcome. Was a dose-response relationship demonstrated for the interacting drug? The alterations in the dose of the implicated interacting drug or food being administered with warfarin correlated with subsequent changes in coagulation variables, inferring a dose-response relationship. Was the subject rechallenged and, if so, did a similar response occur? The interacting drug had to have been administered simultaneously with warfarin in 2 or more separate courses (the second course conducted to confirm the results of the first), with similar results each time. Are the authors’ conclusions supported by other objective evidence? Other objective evidence such as plasma levels of warfarin or coagulation factors supported the authors’ conclusions. A total of 642 citations were identified, of which 205 contained original data on drug or food interactions with warfarin. Of these 205 articles, 181 were retrievable and available for review. The reviewed articles contained 187 separate reports of interactions involving 120 drugs or foods. The weighted κ statistic for the interaction direction and severity rating, level of causation evaluation, and quality of study rating among the reviewers were 0.98, 0.84, and 1.0 respectively. All rating disagreements were resolved by repeated review and consensus. No study met our definition of excellent quality. Thirty-three small RCTs were rated fair or good quality, of which 28 involved healthy subjects and 26 concluded a lack of interaction between warfarin and the drug or food studied. Olestra,12 vitamin E,13 clopidogrel,14 coenzyme Q10/ginkgo biloba 10,15 and ciprofloxacin16 were the only drugs for which patient-based RCTs were conducted, with a “no effect” conclusion for olestra, vitamin E, clopidogrel, and coenzyme Q10/gingko biloba and nonclinical potentiation for ciprofloxacin. Of the reviewed studies, 148 (82%) were rated poor quality and 130 (88%) of these were case reports, of which 125 (96%) were single case reports. Forty-one new reports were rated as level I causation (highly probable) for an interaction, with 14 reporting potentiation (acetaminophen,17 boldo-fenugreek,18 ciprofloxacin,16 citalopram,19 diltiazem,20 entacapone,21 fenofibrate,22 fish oil,23 mango,24 miconazole vaginal suppositories,25 quilinggao,26 sertraline,27 voriconazole,28 and zileuton29), 5 reporting inhibition (etodolac,30 mercaptopurine,31 mesalamine,32 ribavirin,33 and trazodone34), and 22 reporting “no effect” (anastrozole,35 argatroban,36 cilostazol,37 clopidogrel,14 donepezil hydrochloride,38 eprosartan,39 entacapone,40 gemifloxacin,41 levetiracetam,42 losartan,43 meloxicam,44 metrifonate,45 miglitol,46 modafinil,47 moexipril,48 montelukast,49 nateglinide,50 nefazodone,51 olestra,12 pantoprazole,52 sevelamer hydrochloride,53 and vitamin E13). For 38 drugs or foods, level II causation (probable) criteria were met, and for the remaining 41 drugs or foods, the evidence was even less conclusive. Only 57 (31%) of the studies ruled out potential confounders, and fewer than 20% of the articles provided rechallenge data, demonstration of a dose response relationship, or a description of a previous exposure in which the patient experienced a similar effect. Of all 184 reviewed reports, 128 (70%) described a potentiation of warfarin’s effect, while inhibition and “no effect” reports each comprised 28 (15%). There were 34 reports of a major interaction—3 case reports of thrombosis associated with trazodone, sulfasalazine, and propofol and 31 case reports describing a major potentiation. These included 8 deaths, 4 of which were due to intracranial bleeding associated with celecoxib, ciprofloxacin, and fluoxetine/diazepam coadministration.54-56 Only 2 of all 34 reports were level I, describing inhibition involving mesalamine and trazodone.32,34 Several herbal drugs, foods rich in vitamin K, and carbamazepine were reported to decrease warfarin’s effect as were other anti-infective agents, including griseofulvin, rifampin, and penicillinase-resistant penicillins, such as nafcillin, dicloxacillin, and cloxacillin. There were 3 drugs—terbinafine, ritonavir, and influenza vaccine—for which conflicting evidence of an interaction with warfarin was presented.57-63 A cumulative summary, combining evaluations from our original review6 with those of the update is presented in Table 2. Although few interactions met level I causation requirements, the recurrent reports on nonsteroidal anti-inflammatory drugs (NSAIDs),230 antibiotics (particularly macrolides—azithromycin,124 erythromycin,11 and clarithromycin126), azoles (fluconazole231 and miconazole25), amoxicillin, and quinolones (ciprofloxacin16 and levofloxacin139) continue. New alerts regarding the potential for major bleeding when warfarin is taken with cyclooxygenase-2 (COX-2) selective NSAIDs9,10,55,232 or herbal drugs are raised.127,233Table 3 presents a summary of all clinically significant potentiation and inhibition interactions with warfarin, based on drug family and level of causation. The most commonly cited mechanisms for interactions with warfarin involved stereoselective clearance due to S-enantiomer (ritonavir and cotrimoxazole) or nonstereoselective clearance (simvastatin and terbinafine) or the vitamin K pathway (green tea). However, most of the interactions reported have no documented mechanism. Although understanding a drug’s pharmacology helps predict its potential for interaction with warfarin, the translation of these predictions into clinical reality is far from certain. We also found no evidence that specific factors might identify patient subgroups most at risk of pharmacokinetic drug interactions. Regular monitoring of INR remains the best protection against major harm due to these pharmacokinetic and pharmacodynamic interactions. The paradox noted in our original review continues, in that higher-quality studies describe minor or no interaction, while clinically important potentiation or inhibition interactions all originate from poor-quality reports. The overall quality of the interaction literature remains extremely poor, precluding definitive recommendations regarding the safe coadministration or avoidance of specific drugs and foods in users of warfarin. Case reports may be alarming, but their rarity and the lack of a control group, a denominator of use, or often even basic descriptive details makes it impossible to gauge their true accuracy or rate of harm. Small RCTs of new drugs given with warfarin are increasingly common as a result of demands of regulators. These studies, which are invariably carried out with healthy young male volunteers, are too small to provide any assurance of lack of interaction and are likely not generalizable to the usual warfarin consumer—an elderly person with active medical conditions using several other medications. Only 5 of 34 RCTs evaluated in this review involved sample sizes from 24 to 43 patients.12-16 Poor-quality literature is not merely an aggravation to review. 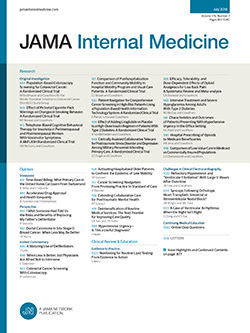 Twenty of the interaction reports received a level IV causation rating, implying that the interaction was highly improbable based on the lack of fulfillment of basic causation criteria.56,213-229 The publication of such reports is potentially harmful itself because it may generate unwarranted concern and erroneously influence prescribing. We were surprised to find no analyses of linked, large administrative databases examining drug interactions with warfarin. This review has several limitations. Our literature search did not solicit all unpublished adverse interactions reported to drug manufacturers or governments. However, both Health Canada’s Canadian Adverse Drug Reaction Monitoring Program and Food and Drug Administration’s MedWatch were solicited for cases. We also were unable to review all non-English publications. The handling of conflicting evidence, while sensible, could have led to a mistaken conclusion. Others may not agree with our multidimensional, hierarchical evaluation methods. How can clinicians use this information? To prescribe safely, there are 3 choices: one is to never prescribe or allow another medicine to be given with warfarin. This is clearly impractical for most patients requiring warfarin. The second is to use an electronic medical record or prescribing system that will evaluate interactions among the patient’s entire profile of therapies.247,248 Because these systems are not available to most physicians and are frequently incomplete and sometimes inaccurate, a third approach is required. The third option is to group the majority of offending interacting drugs into easier-to-remember families or therapeutic groups, as we have done in Table 3. We recommend to exercise caution when adding any antibiotic to warfarin therapy, especially for macrolides, quinolones, and “azoles.” Many common cardiovascular drugs, including statins, fibrates, heparin, aspirin, and amiodarone, are problematic. Also, NSAIDs, including COX-2 selective NSAIDs, should be avoided, as should omeprazole, alcohol, chloral hydrate, anabolic steroids, and a wide variety of, if not all, herbal supplements. New oral anticoagulants may soon be available but have not demonstrated superior long-term efficacy, safety, or drug interaction profile compared with warfarin. In summary, there is an abundance of medications and foods for which an adverse interaction with warfarin, generally potentiation of warfarin’s effect, has been reported. While the drug interaction literature is generally of poor quality, relatively consistent reporting of interactions between warfarin and certain commonly used drugs and drug families (mainly anti-infective agents, lipid-lowering drugs, NSAIDs including COX-2 selective NSAIDs, selective serotonin reuptake inhibitors, amiodarone, omeprazole, fluorouracil, and cimetidine) is cause for concern. In patients who are starting therapy with one of these medicines, consideration should be given to using an alternative medication with less potential for warfarin interactions (eg, rabeprazole instead of omeprazole and acetaminophen instead of NSAIDs). More frequent INR testing during the 2 weeks of the onset or discontinuation of treatment with other medications is advisable. Finally, we recommend the use of more rigorous methods to examine warfarin interactions in patients (eg, RCTs, N of 1 crossover studies, or large health database analyses). Correspondence: Anne M. Holbrook, MD, PharmD, MSc, FRCPC, Division of Clinical Pharmacology, McMaster University, c/o Centre for Evaluation of Medicines, 105 Main St E, Level P1, Hamilton, Ontario, Canada L8N 1G6 (holbrook@mcmaster.ca). Accepted for Publication: December 21, 2004.